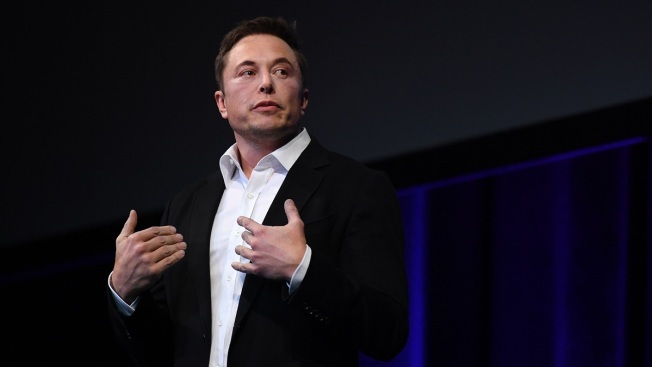 This Sept. 29, 2017, file photo shows Tesla CEO Elon Musk in Adelaide, Australia. Feeling the stress of Tesla's Model 3 production, CEO Elon Musk said he's so busy that he can't even go home to shower and he's sleeping on the floor of the factory, CNBC reported. Musk, in an interview with "CBS This Morning" to be aired Thursday, told host Gayle King that the company has "been incredibly difficult and painful the last several months." He said he's sleeping at Tesla, "not because I think that's a fun place to sleep," but because he doesn't "have time to go home and shower." Tesla said it hopes to meet its target of producing 5,000 Model 3 cars per week in three months time. Though the company is under its production goal, Musk wants to be there to make sure the company meets its goal. Musk said he's staying at the factory because he doesn't believe his employees should "be experiencing hardship while the CEO is, like, off on vacation."